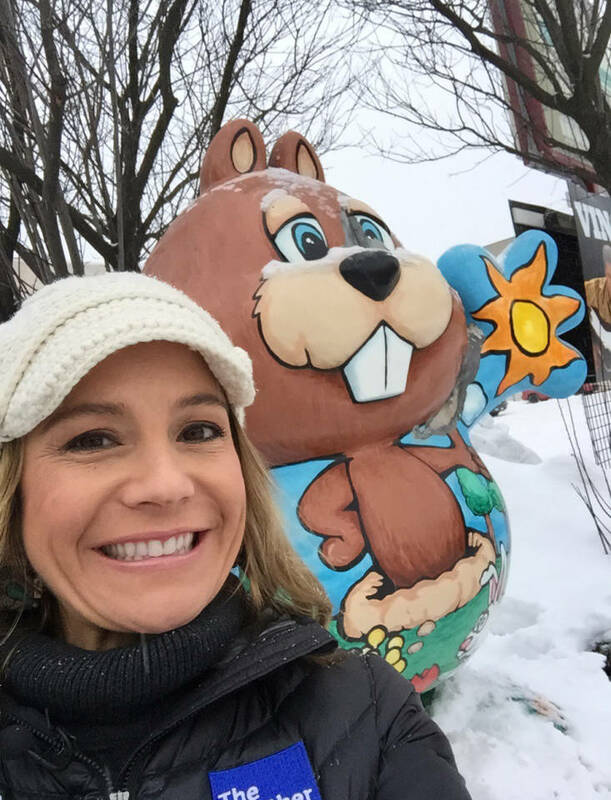 On Friday, February 1, 2019, The Weather Channel Meteorologist Jen Carfagno will be inducted into the Meteorologist Hall of Fame at the Weather Discovery Center in Punxsutawney, PA. Carfagno has covered Groundhog Day for several years now, making the event one that she cherishes year after year. 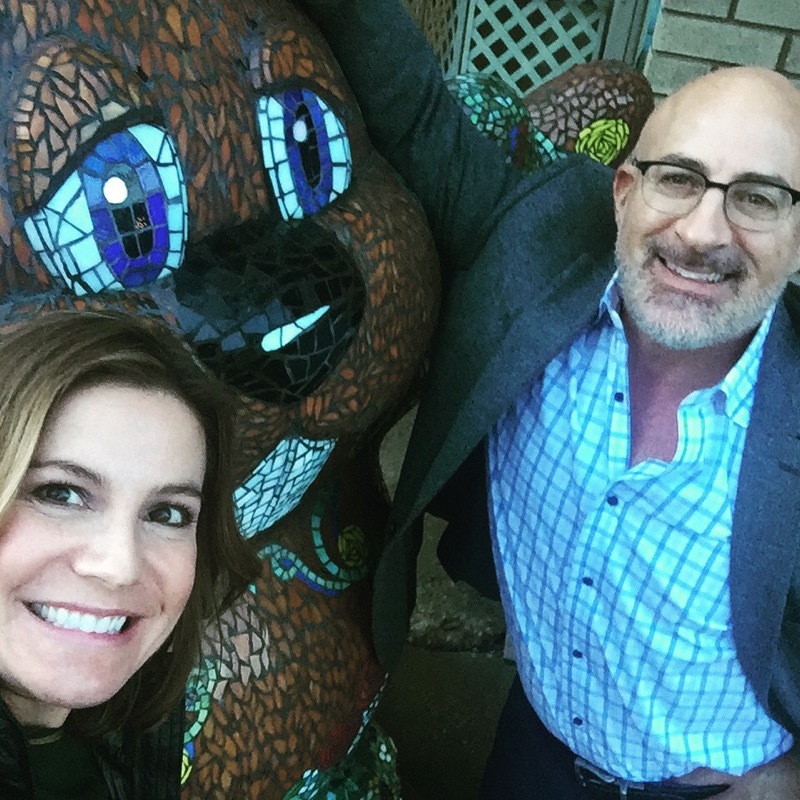 We asked Carfagno how she feels about the honor, as well as what her coverage of Groundhog Day looks like in Punxsutawney! Congratulations on being inducted into the Punxsutawney Weather Discovery Center Meteorologist Hall of Fame! What does this honor mean to you? Being inducted into the Punxsutawney Weather Discovery Center’s Meteorologist Hall of Fame is a huge honor. I am honored to be recognized next to some of the best in the business. Other past honorees include Paul Knight, Fred Gadmoski, and Dr. Greg Forbes – all of whom I’ve had as instructors and professors at Penn State. And of course I am very proud to be recognized along with Jim Cantore and Stephanie Abrams who were also past honorees. We must be the first full anchor team in the Punxsutawney Weather Discover Center Meteorologist Hall of Fame! Punxsutawney is legendary as the Weather Capital of the World for Phil’s annual prognostication. The Weather Discovery Center made good on the science behind it. Many exhibits investigate the connection between weather folklore and science. What a wonderful interactive science center to answer your atmospheric curiosities and stimulate new ones! As a bonus, the building is also a must see. It was a standalone Post Office built in 1914, a centerpiece of the community back then and now again as the Weather Discovery Center. How many years have you traveled to Gobbler’s Knob for Groundhog Day? 2019 will be my 7th time for The Weather Channel, and 8th overall if you count my trip as a Penn State college student. I truly look forward to it every year! Do you have a favorite memory from your coverage in Gobbler’s Knob? 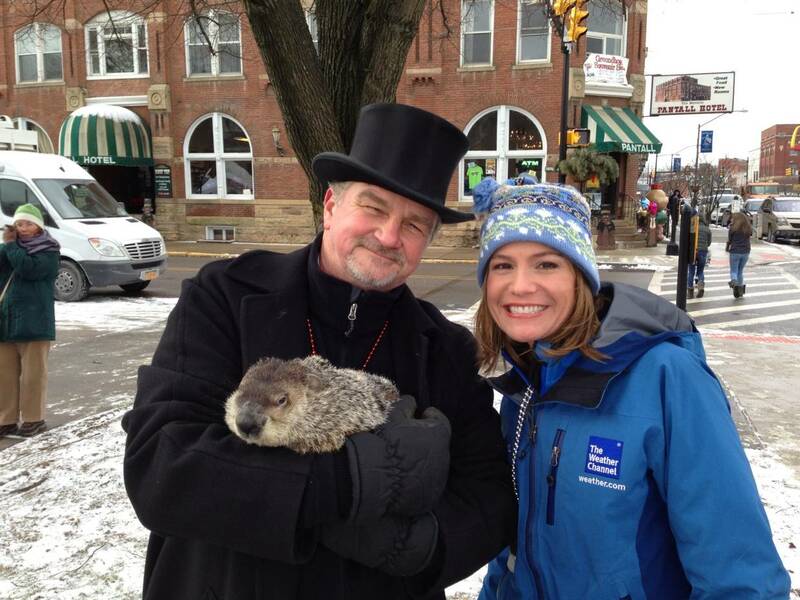 SO many great memories from our Groundhog Day coverage! Everyone gets into it on location and back in the studio – I love that! My favorite memory might be from the first year we went to report on Dr. Greg Forbes being inducted into the Weather Discovery Center Hall of Fame. There was an ice storm in Punxsutawney and our live truck couldn’t get to our location. We broke our ice scraper trying to clean our car to get the live location so we just stayed put and did our live feed via Ustream from the yard of the Cassidy’s house! Do you have a favorite tradition you take part in when you go up to Punxsutawney? 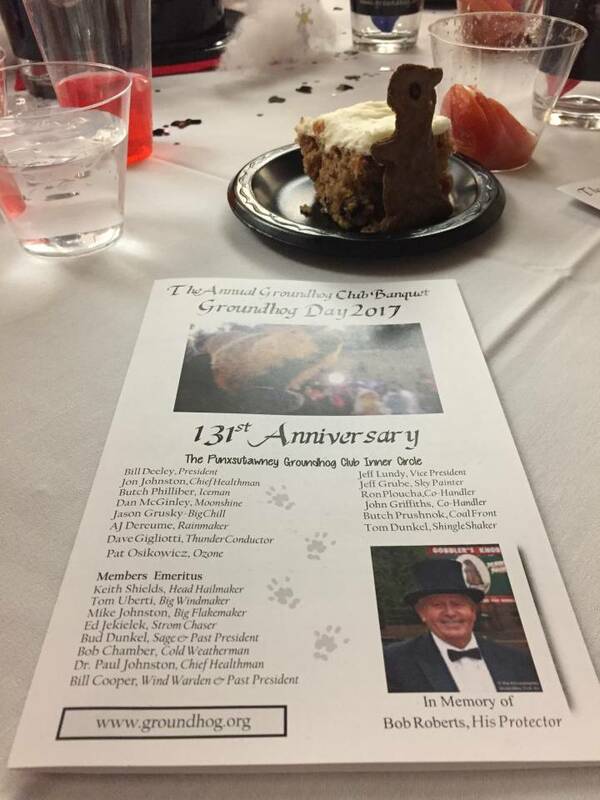 My favorite tradition for Groundhog Day is actually something that takes place at the Groundhog Club Banquet the night before. It’s hosted by the Groundhog Club and the Inner Circle (those guys with the top hats). The banquet itself is a riot with members of the Inner Circle singing parody songs and roasting each other and introducing visitors from around the world! But the best part about the night is the announcement of the Man and Woman of the Year. Punxsutawney is a tight community with service at its core. This award exemplifies that and it’s inspiring to hear the stories of those who make such a difference in the community. What’s something a lot of people would be surprised to know about Groundhog Day festivities in Punxsutawney? What surprises everyone the most is that Groundhog Day (the movie) was not filmed in Punxsutawney, and the scene doesn’t look exactly like the movie. There is a Barclay Square, but that is not where Phil makes his prognostication. The big reveal happens on Gobblers Knob, about 2 miles away. Walk us through an average trip up to Punxsutawney to cover Groundhog Day. How we cover Groundhog Day. 1. Pack all of our Groundhog hats. 2. 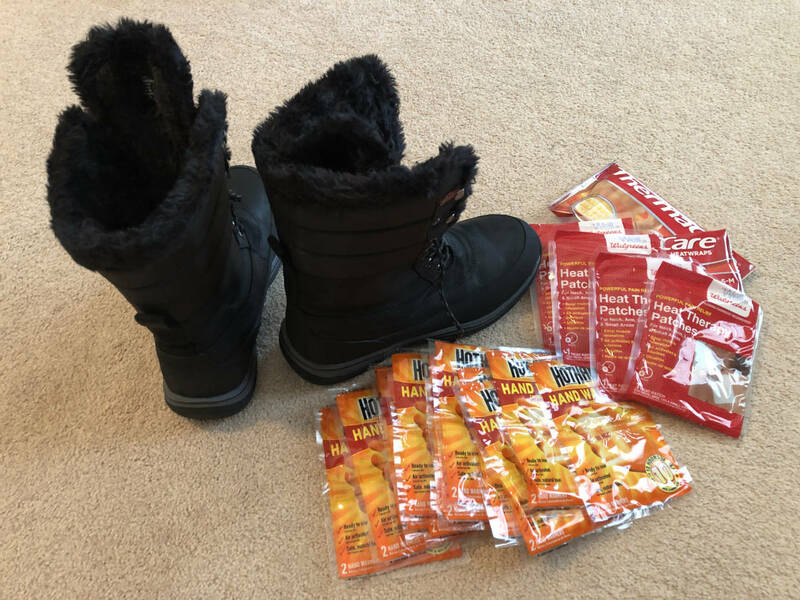 Pack lots of hand warmers and good boots. 3. Lots of layers needed. Average overnight lows are in the teens this time of year, so we are ready for the cold! 4. I fly to Pittsburgh and then drive the almost 2 hour route to Punxsy. Watch out for horse and buggies as you drive the Amish towns on the way. 5. When I arrive, I either go straight to the Chamber of Commerce souvenir shop, to the Burrow (bar in downtown), to the Weather Discovery Center, or to my host family’s house. 6. Life is non-stop once we arrive! 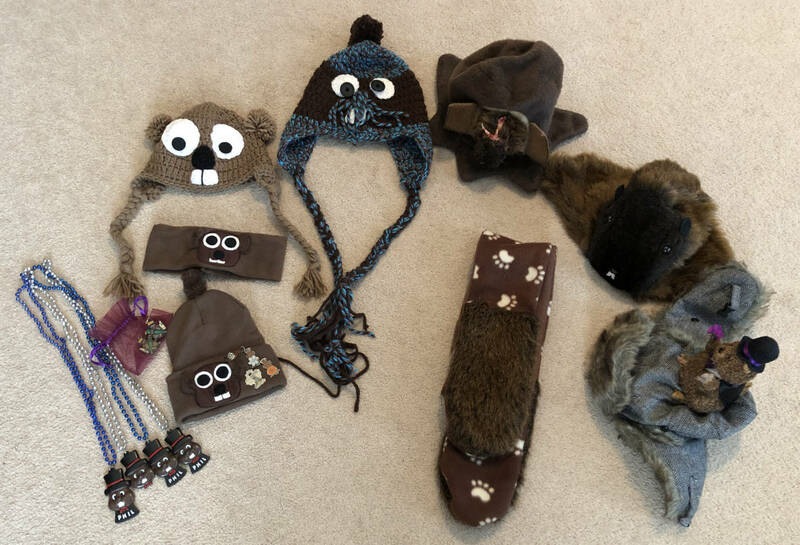 I’ll be looking for new hats, chatting with old and new friends, greeting visitors who have come to Punxsutawney for Groundhog Day and are fans of The Weather Channel. 7. For a few years we’ve been able to be in town early, and I’ve been thrilled to be a part of the Punxsutawney High School Groundhog Day pep rally, a judge at Gobbler’s Knob Got Talent, and danced at the Groundhog Ball. 8. I am on a mission to take my picture with all of the Phantastic Phils, which are human size statues of a groundhog that are artistically designed to represent their sponsor – such as “Phil a House with Love” by the Jefferson County Housing Authority. They are located all over town. Grab a map and find them all on foot and by car! 9. If we are here early enough, there will be dinners and get togethers … ’tis the season! 10. I guess I need to start working! I have actually started weeks in advance reviewing my notes on the history of Groundhog Day and particulars I want to mention, and of course the weather forecast. 11. On Feb 1, we will wake up by 2:30 am to host live coverage in the AM and then go the Weather Discovery Center for the Induction to the Hall of Fame, then out and about town to do all of the above. The Groundhog Banquet is at 6:30 PM. Afterward is an annual party at one of the host family’s homes, then I will take a quick nap before getting back to the Knob for live coverage of Groundhog Day. My producer and photographer will usually just nap in the car at the Knob. There is no time this night for sleep! This is like Christmas Eve! 12. I arrive at the Knob around 4 am. There is already a crowd there. Everyone parks downtown at the Aldi or Walmart or McDonalds, and then takes school buses up to Gobblers Knob. 14. Then comes The Trek. This is when the Inner Circle will don their overcoats and top hats and walk down the center of the crowd to the stage by Phil’s Burrow. The president of the Groundhog Club then raps on the burrow with his cane to awaken Phil. He is the only one who speaks Groundhogese and the only one who can understand Phil’s prognostication. 15. There are two scrolls on top of the burrow: one for Early Spring and one for Six More Weeks of Winter. Phil’s handlers pull Phil out of his burrow. Phil and the President of the Groundhog Club indicate which scroll should be read. This is about 7:20 AM EST. And the world awaits Phil’s prognostication! 16. After Phil’s forecast is read, the crowd quickly disperses, either back to the buses or to get in line to get a selfie with Phil! (he stays in his plexiglass cage for safety). 17. We finish our live coverage and then go back to our host family’s house for the famous post-proclamation brunch. And of course Groundhog cookies for dessert! I always take a little bag home! The people of Punxsutawney, PA are a close knit group. Describe the sense of community you feel whenever you travel up there. 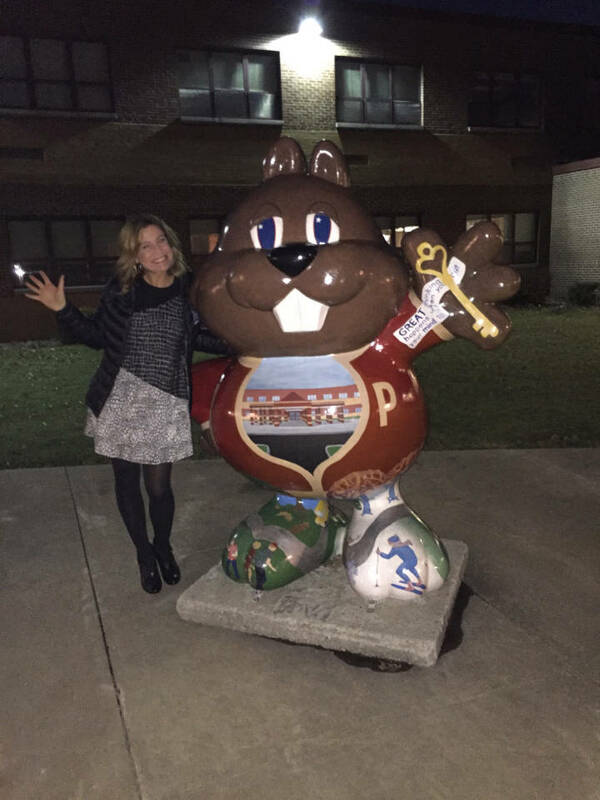 After traveling to Punxsutawney for 6 years (2019 will be my 7th for The Weather Channel), I feel like I am part of the community! And honestly I felt like that after the first year. It is a very welcoming town. It’s hard to walk down Mahoning Street and not see someone you know and say hello! Most viewers probably assume you and TWC crews stay in hotels when you travel to Punxsutawney, PA, but you actually stay with the same host families year after year. What is it like to reunite with these families when you travel up there? There are not many hotels close to Punxsutawney… bed and breakfasts are an option or you can stay a little outside town and drive in that morning, which is what I did as a college student. But the first year I went to Punxsutawney for The Weather Channel, I learned I was staying with a family – the Cassidy’s. And what a wonderful experience it has become! They are truly my Punxsutawney family. We keep in touch throughout the year and last summer they visited with my family & I in Atlanta! Everyone in Punxsy is so welcoming, opening up their homes and welcoming you to their tables! You have an impressive collection of groundhog hats. How many do you have? Do you get new ones every year? I have 7! I buy new hats every year… but I’m always giving them away too. So many people like to celebrate Groundhog Day! You can always catch me looking for new finds at the Chamber of Commerce Official Souvenir Shop, or at the Punxsy Community Center Craft Show. Do you think Punxsutawney Phil will see his shadow this year or no? Phil has seen his shadow 85% of the time in 122 years of records. So if you play the odds, then yes, shadow. But I have to believe Phil will hear the millions who have been battling temperatures lower than they have ever felt before, and I’m rooting for no shadow – Early Spring! 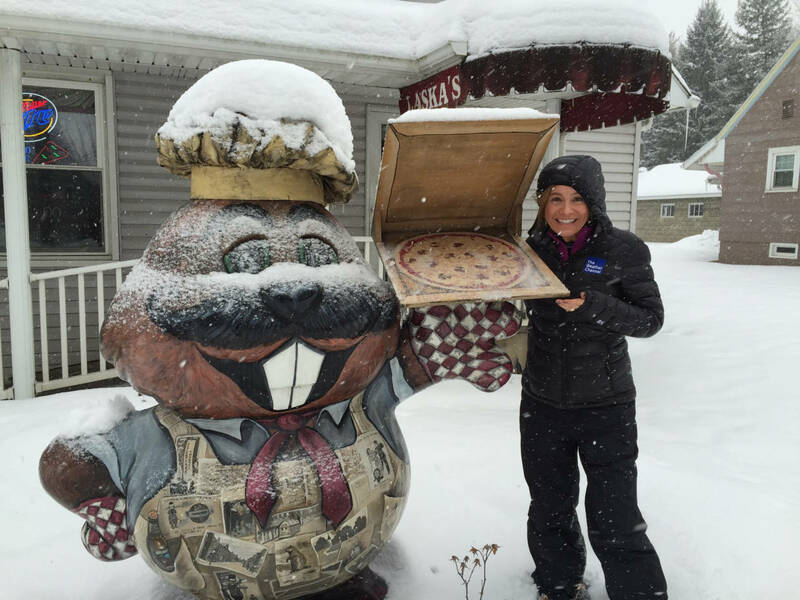 Watch The Weather Channel this Friday and Saturday for Groundhog Day coverage from Jen in Punxsutawney, PA! Congratulations Jen! So well deserved! I am so happy for you! Your the Best Jen, Congratulations ! I watch you every day on the Weather Channel. Happy Groundhog Day. 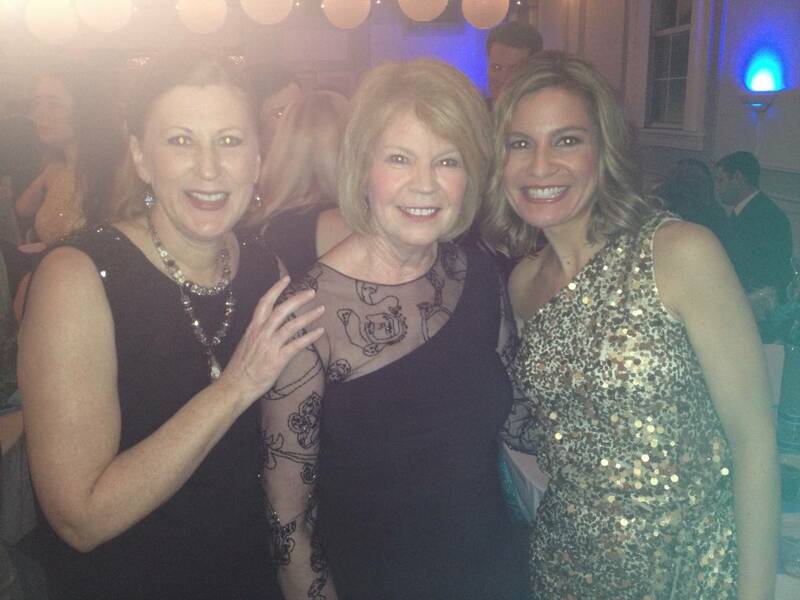 Thanking you Jen for making the The Ground Hog Day Event a most viewed morning show. A thousand snowflakes for your Hall of Fame Achievement. Congratulations Jen, well deserved, seen you this morning, 2/1/19, all ready for the day tomorrow. Enjoy. Congrats Jen. You deserve this. I have been watching you for years. It’s great to see this well deserved honor bestowed on Jen. We have been watching her ever since her first days with TWC. What a refreshing professional she has developed into! Dear Jen I have watched you on Weather Channel for many years. Thank you for all your reports. AN honor Well Deserved!!!!! Glenn C.
Congratulations Jen For getting Inducted Into the Meteorologist Hall of Fame. WAY TO GO JEN! You have definitely earned it. Jen you are so beautiful inside and out and make Groundhog Day and everyday so special! You deserve every honor there is!! Congratulations!!! Congratulations, Jen! So well deserved. Your sunny disposition warms up the coldest days. 🙂 I live in Arizona yet always wake up early just for the Groundhog Day festivities. Can’t wait to see them again! Congratulations Jen!!! You very much deserve it love watching you keep up the awesome work. Thank you all at The Weather Channel for making weather a learning and fun experience! Your accomplishments are our benefit with regards to weather. Some times fun! Congratulations, Jen! Very richly deserved!! congrats Jen, go girl go !! Well deserved honor! Congratulations, Jen! I always admire how you break down weather facts/terms with entertainment in an easy way for viewers to understand. I know you are so fascinated with dew points, and yes the higher the dew point, the more sticky it gets outside in the summer. Also, it often is true that “There is nothing good about an east wind” because northeast or east winds ahead of a warm front often times bring yucky cloudy or rainy weather! Congrats Jen on your Hall of Fame Induction! I have been a fan of The Weather Channel since May, 1983 when I think it started coming on TV. That’s when good ole Jim had black hair. Him and Dave Swartz worked together. Now, I am a Storm Chaser because of you guys! Congratulations Jen! Your my RockStar!